The key to all Wiccan practice is ultimately solitary because developing real growth and awareness begins inside each individual. The Solitary Wiccan's Bible is for any reader wanting to go deeper into his or her understanding and experience of Wicca--alone. There are many reasons people seek a solitary path: fear of charlatans, concern about co-workers finding out or being misunderstood by others, or lack of family or social support for Wiccan practice. The Solitary Wiccan's Bible uses the metaphor of a solitary pilgrim walking a path and discovering natural and spiritual truths along the way. This pilgrimage is based on the ancient symbology of the Pentagram enclosed in the triple circle. The Solitary Wiccan's Bible leads the pilgrim to cross the circles, moving from the Wilderness through the Home and Astral realms, to achieve the central Spiritual realm. Always down-to-earth and easy to understand, The Solitary Wiccan's Bible clearly lays out the Wiccan paths so any reader can follow. 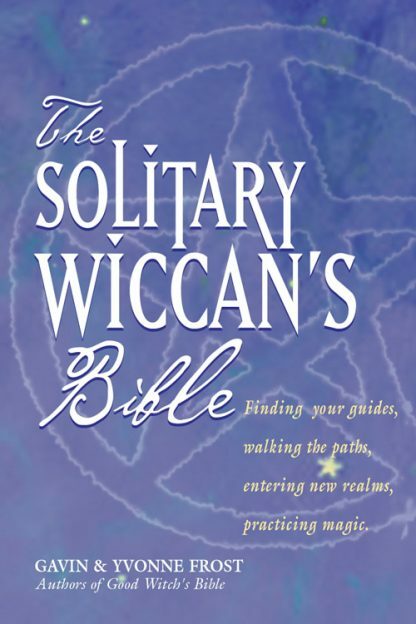 The Solitary Wiccan's Bible provides background and practice in clear, accessible, and often humorous prose, making the book immediately useful to first-time seekers and long-time practitioners alike.